Naturally, the end of a year is accompanied by some self-reflection. And maybe I’m starting mine a little early, but that’s mostly because I have spent a large part of my year doing that already. It has been quite the year. I haven’t even had the energy to write on here since August, which in itself, is so unlike me. You see, going into 2014, I knew I wanted to make some changes in my life. And being just a tad bit cliche, I decided I wanted to focus on getting healthy. So I prayed about it a little and decided to dedicate myself to my physical health. Well little did I know, God’s definition of healthy was much broader than my own. Coming to the end of 2014, I have literally flip-flopped my entire life. Everything has changed since this point last year. I was really struggling going into the new year and narrow-mindedly, I thought it was only with my weight. But, there was a much deeper issue. I had planted myself in a pot of comfort. My roots dug deep into that comfort zone and anytime I thought about replanting myself, self-doubt killed me. I really, really struggled. I’m talking anxiety, depression, lots of tears, and many phone calls home to mom. 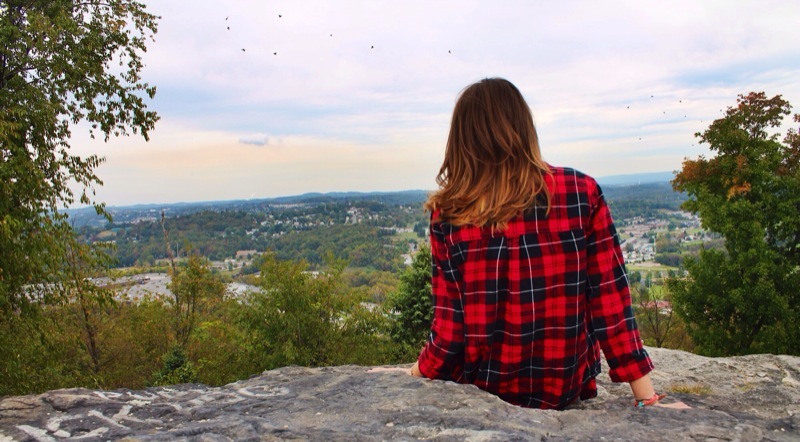 In August, I was so close to giving up and moving home to West Virginia. I honestly thought it was the answer to find any sort of peace of mind again. I prayed about it and became so confused and frustrated in trying to decide what direction to take my life. I just kept praying and waiting for something to change. But then one day it hit me.. How could I ever pray for God to make changes in my life if I wasn’t willing to move my own feet? And just like that, I knew whole-heartedly that was God’s answer to my prayers. I took every ounce of courage I had and uprooted myself from my little pot of comfort and replanted in to the a huge field of uncertainty and possibility. I am not going to lie to you, replanting myself and making the decision I did was one of the hardest things I’ve ever had to do. It was a long and scary process, but with my amazing support group of friends and family, I made it. And so here I am at the end of 2014. Is everything in my life perfect? No. As a daughter of Christ, I’ll always have growing and changing to do. But for right now, I am one relieved and happy girl.